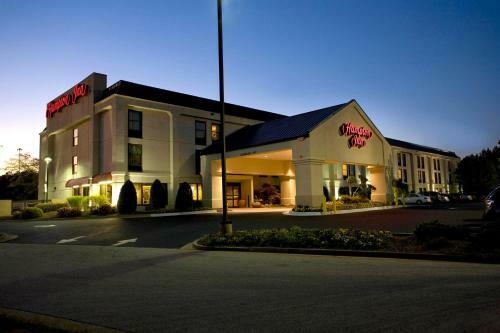 This Newnan, Georgia hotel is one mile from Interstate 85. This hotel features a daily breakfast, outdoor pool and a microwave and refrigerator in every room. The Hampton Inn Atlanta-Newnan offers coffee in the lobby. Guests can use the business center or the gym. Rooms at the Newnan Hampton Inn have a coffee maker and ironing facilities. 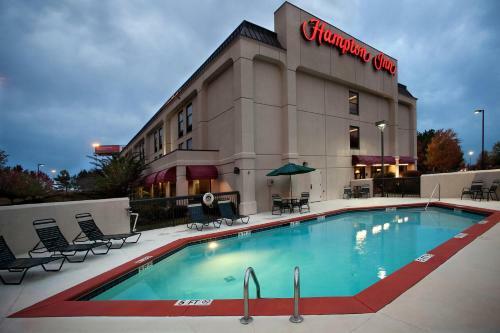 The rooms are equipped with cable T V. Atlanta-Newnan Hampton Inn is within a 40-minute drive to the Hartsfield-Jackson-Atlanta International Airport. Dunaway Gardens is 10 miles from the hotel. 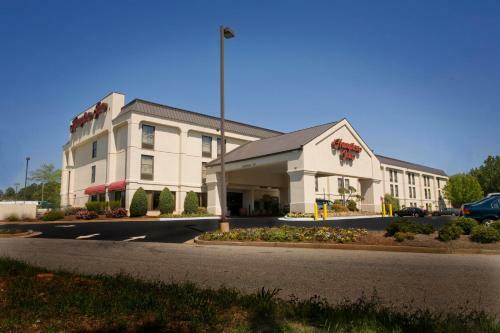 the hotel Hampton Inn Atlanta-Newnan so we can give you detailed rates for the rooms in the desired period.